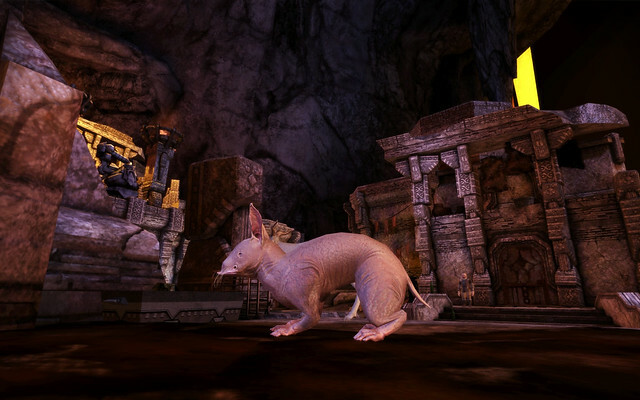 This page of fantasy game art from Dragon Age: Origins features the Nug: A hairless "subterranean bunny-pig" that is often eaten by dwarves. Young or small ones are called "nuggets". The nug is an omnivore common to the Deep Roads, a hairless creature that is almost blind as well as completely docile. It spends most of its time wading in shallow pools as well as mud pits, feeding on small insects, worms, and (in a pinch) limestone and simple metals. Indeed, the digestive system of the nug is legendary, able to make a meal out of almost anything a nug finds on the cavern floors. Nugs reproduce rapidly, spreading into any niche within the Deep Roads they can find, and serve to support a variety of predators such as giant spiders and deepstalkers. So, too, do dwarves make meals out of them... nugs are, in the poorer slum portions of Orzammar, one of the most common sources of meat available. 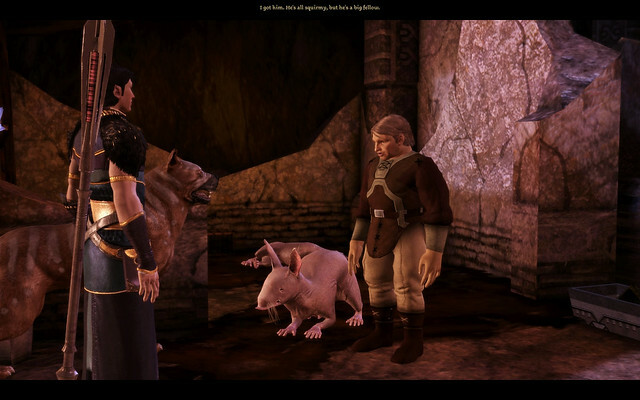 Some dwarves even domesticate the creatures, claiming to find the creature's high-pitched squeaks pleasing.